Swiss educator; born in 1864; since 1896 privat-docent in archeology and mythology at the University of Zurich. 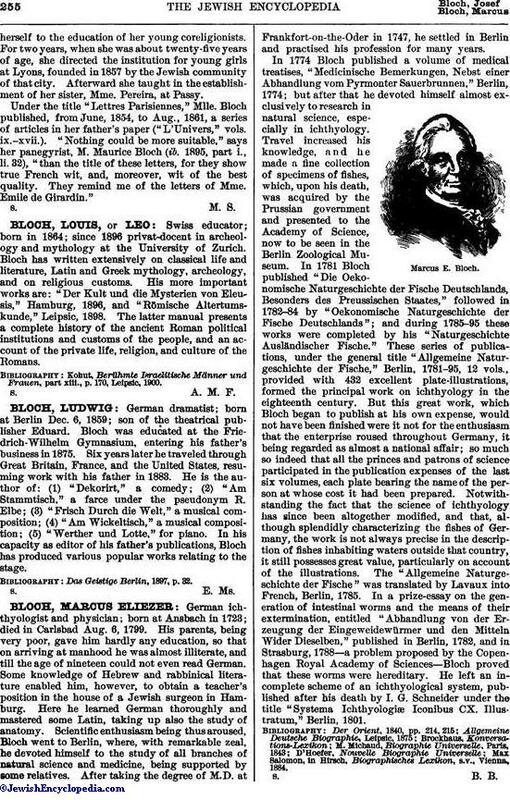 Bloch has written extensively on classical life and literature, Latin and Greek mythology, archeology, and on religious customs. His more important works are: "Der Kult und die Mysterien von Eleusis," Hamburg, 1896, and "Römische Altertumskunde," Leipsic, 1898. The latter manual presents a complete history of the ancient Roman political institutions and customs of the people, and an account of the private life, religion, and culture of the Romans. Kohut, Berühmte Israelitische Männer und Frauen, part xiii., p. 170, Leipsic, 1900.